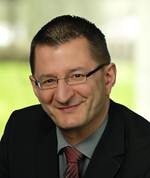 Carsten Rust joined Morpho e-Documents in 2004, as a project manager for R&D projects on smart card technology. He is responsible for Morpho e-Documents’ activities in funded cooperative research projects. He has been in charge of the company’s research efforts in several European projects on innovative smart card applications, e.g. in mobile telecommunications and identity management. Carsten Rust holds a degree in Computer Science from the University of Paderborn, Germany.